Dr. Jessica Keeley is a well-known general surgeon in Torrance, California. She received her medical diploma from David Geffen School of Medicine at UCLA in 2011. 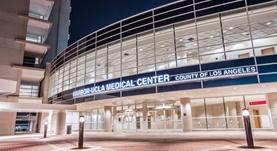 Dr. Keeley completed her medical education with a residency in general surgery at Harbor - UCLA Medical Center. The State Medical License issued in California gives him the right to practice medicine in that state, his license being active through 2018. This doctor works at Los Angeles County-Harbor-UCLA Medical Center.